It’s no secret that the Pacific Northwest has some of the best hiking in the nation. And while terrific trails can be found in every corner of the state, there’s one place that stands out from the rest. The Bellingham area has an embarrassment of natural riches, and it’s all about location, location, location. In a single day it’s possible to beachcomb, wander a rainforest, take in a glacier, and still make it to town for fresh-from-the-boat seafood. For a little taste of everything, here are four trails near Bellingham that will keep you begging for more. So leave the urban congestion behind and head north for serenity and adventure. Rolling mountain views and summer wildflowers – it’s the quintessential payoff on a northwest hike. And the Skyline Divide trail offers both in spades, says Bellingham native Diana Pollock, of the Hotel Bellwether. After climbing a brisk 1500 feet in two miles, hikers emerge from evergreen forest to a ridgeline and a series of rolling knolls. This is where things get really fun. As you bounce along rises and falls, it’s hard to know where to look. In the distance, gigantic Mount Baker towers over the trail. At your feet, vast carpets of wildflowers spread in all directions. Moving over the ridges, the glacier-coated mountain fills your vision. From 6,000 feet it feels like you’re sitting on the knees of a giant. Meanwhile mountain bouquets of aster, fireweed, lupine and glacier lily enthrall at every turn. This 10-mile waterfront trail is home to some high-octane aerial drama from the local birdlife. That’s because Boundary Bay Regional Park is one of the premier locations for meat-eating raptors. 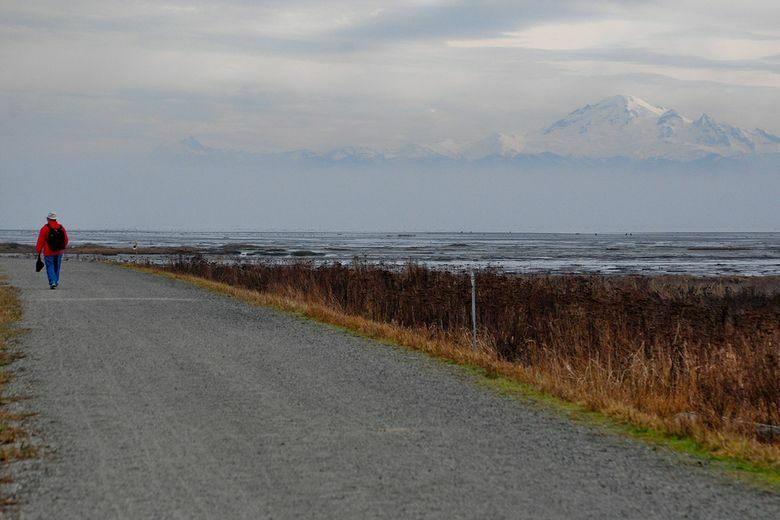 Along the Dyke trail, travel by foot, bike or horse over wide gravel pathways that snake around Boundary Bay’s wetlands. The tidal zone with a gleaming Mount Baker in the background is stellar, but the birds are the real stars. Swift little falcons, intense Cooper’s hawks, gorgeous northern harriers, long-eared owls and bald eagles by the dozen come here to feed on voles and other small rodents. And they don’t seem to mind hikers or clicking cameras as they dive and soar in search of a meal. 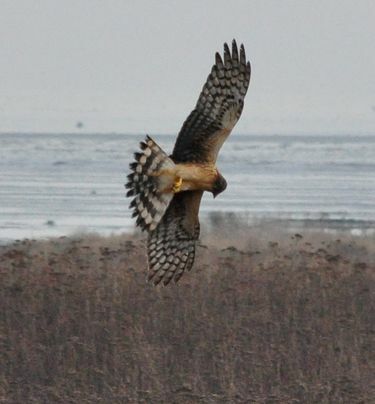 Just hang out for a few minutes, and you’re bound to see agile raptors diving for prey just a few yards away. Oyster Dome is a local favorite thanks to its accessibility and sweeping views of Puget Sound. Starting from the scenic Chuckanut area just south of Bellingham, take the Pacific Crest Trail and wander over little creeks and loamy sections of forest. At the top of the hill you emerge onto the broad, rocky overlook of Oyster Dome. The weaving fingers of the Skagit River flow into Samish Bay. Beyond that, Lummi and Orcas Islands dominate the emerald chain of San Juan Islands. In the distance, Vancouver Island fronts a jagged line of Olympic Mountain peaks. Rainforests aren’t just found in the Amazon. The Pacific Northwest is home to pockets of temperate rainforest where liquid sunshine creates an artist’s palette of greens. The Baker Lake Trail is an easy wander for all abilities and it samples some seriously lush greenery. It hugs the eastern flank of Baker Lake with mountain views frequently poking through. But it’s the forest floor and tree canopy that really wow. Curtains of delicate old man’s beard sway in the breeze. Soft mosses cling to rock gardens. Boardwalks and bridges span ravines filled with chattering streams and turquoise pools. Forage for early season mushrooms among prolific ferns and listen for birdlife among the massive old growth cedar trees. It’s all there on a single trail. Single-day trip hikes are fine, but trail time is far more enjoyable if you use Bellingham as your hub. A good place to stay during a long weekend of hiking is Bellingham’s Hotel Bellwether, on the edge of Bellingham Bay. A pre-hike breakfast behind panoramic windows overlooking the water will start your day, and in-room soaker tubs and fireplaces are perfect ways to rejuvenate weary muscles at night.